Shisha Pipe is one of the dangerous things that can create health concerns for people as it produce high levels of carbon monoxide. Smoking through a shisha pipe is similar to that of sniffing the smoke released by the car exhaust. This tells that shisha is more dangerous than cigarette or any other tobacco products in the market. Many medical organizations and institutions have researched on these pipes for making out the side effects and dangers of smoking it. Study and research made by those medical and healthcare instructions have revealed deadly facts about this shisha pipe and cautioned smokers. Though it is an effective means of coping, it is a dangerous activity that causes serious danger to life and cause serious health concerns. People can observe that many individuals smoke tobacco products for relieving themselves from depression and stress but the fact is that they are causing dangers for their health. Arguably, smoking shisha pipe is perhaps the effective means of coping that acts as stress buster and relieves depressions. However, there are few other effective means of coping that can relieve stress and depression like keeping yourself busy all the time, participating yourself in various activities and events, regular exercises and through counseling. However, the concerning fact is that these shisha pipes are offered in various clubs and shisha houses, also in restaurants by looking at the demand for these pipes. 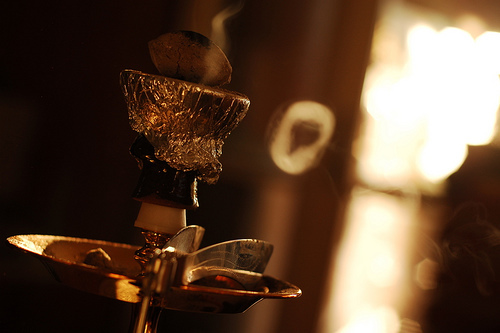 Many of the shisha cafes are responding to the demand of these pipes where people love to have a puff of smoke and relieve themselves from all tensions and pressure. It is a fact that many people and smokers believe that there is very less danger by smoking through a shisha pipe but they ignore the fact that it is shared between many people. It has only one mouth piece and it is shared between several people that can cause serious diseases and disorders. It also causes several diseases like hepatitis, tuberculosis, and various other heart diseases. One of the most dangerous facts is that diseases can be transmitted between people who share the mouth piece of shisha pipe. It will also lead smokers to get affected with cancer disease, which is the most dangerous disease that requires expensive medication. One of the dangerous facts about shisha pipe is that it contains nicotine that is 36 more time of that in a cigarette. This will lead a person towards addiction and will make it hard for smokers to quit this deadly addiction. Though it produces pleasant feelings and proves to be effective means of coping, it harms the health condition of individuals. It causes several diseases like cancer, tuberculosis and hepatitis. It also transmits diseases of one person to another person through mouthpiece. People who want to withdraw this addiction may have to suffer side effects like anxiety, hostility, mood swing, nausea and various other disorders. These are withdrawal symptoms and cause more health complications to the smokers. Hence, it is important to stay away from these deadly habits so that it would help them to prevent several complications and consequences.